American Dream Extensions aims to offer absolutely everyone the chance to have beautiful hair, whether that’s by improving his or her natural style or providing a little bit extra hair to play with. If you’re suffering from hair loss and thinning, we’re here to help with a variety of clip-in pieces to give you back your spark. If you are encouraging your hair to grow back, we also offer hair loss products that can help promote healthy hair growth. 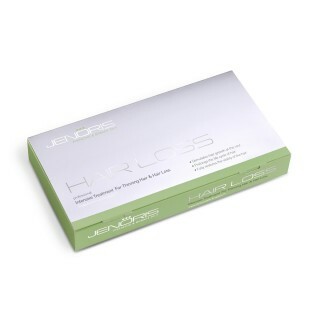 The Jenoris hair loss intensive treatment is designed with preventing hair loss specifically in mind. It works by prolonging the cycle of the hair using AnaGain, a specialist technology that injects strength right back into the scalp of your head. If you aren’t sure which products will work best for you, get in touch, we’re always happy to help.